Hi Everyone! Is it Academy Awards time already? It seems like just yesterday that I wrote my 2017 Oscar Fever Uncorked article. Last year, with Moonlight shining bright, I did really well with my picks. This year has been a great one for films of all genres and I’m very excited to share my picks with you. Want to do something fun on Oscar night? Well, you can have a comfy seat and watch the Oscars on the big screen at the Al Whittle Theatre in Wolfville. The Academy Awards ceremony airs on Sunday March 4th. The doors of the Al Whittle will open and the Oscars will be broadcast immediately following the screening of Lady Bird (nominated for FIVE Oscars!). 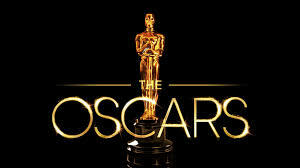 The Academy Awards ceremony starts at 9:00pm! Admission is free but please bring a donation towards screening costs. Hope to see you there! Here are my predictions for this year’s Oscars. Best Supporting Actress: All the ladies in this category (minus previous winner Octavia Spencer) are first time nominees and I love when the Academy recognizes fresh, wonderful new talent. What happens this year is that we have two actresses, Laurie Metcalf and Allison Janney, who’ve dominated TV for so long that their film work is NOW just getting recognition. This category belongs to Janney, as the acid-tongued mother of Tonya Harding in I, Tonya. Her performance was fierce, scene-stealing, and unforgettable. After years of work on The West Wing (Emmy win) and Mom and then Broadway hits like 9 to 5 (Tony award win) to films like Hairspray, The Help, and American Beauty, Janney has paid her dues and an Oscar is coming her way! Best Supporting Actor: My heart breaks for Willem Dafoe this year as he turned in probably his second best performance (after Shadow of the Vampire) in The Florida Project, and he started the awards season as the sure thing for the Oscar, but then Sam Rockwell, and Three Billboards, crashed through and has swept all the major prizes leading up to Oscar night. I adore Rockwell, have for years, and his performance as the racist, dim policeman in Three Billboards was a stunner to watch and absorb! It takes great talent to tackle a character that controversial and Rockwell….well… Rocked it! He’s my choice for supporting actor. Best Actress: I remember it like it was yesterday. Oscar night 1997, when Frances McDormand’s name left Nicholas Cage’s lips as she won the Oscar for Fargo! I screamed so loud I lost my voice! Her consistently brilliant film presence is the reason I consider her one of my favoruite actresses and this year, with her gut-wrenching performance in Three Billboards, was more proof of her strength on screen. Even with such a stellar lineup of strong female performances (although Sally Hawkins should have been nominated for MAUDIE instead of The Shape of Water but whatever), McDormand is the front runner and very deserving of her second Academy Award. She’s my pick and I will scream just as loud this time too! Best Actor: This is one of those years where I wonder why they even had four other nominees in this category. Not only should Gary Oldman have 4 Oscars already for previous works but to lump other performances in with his tour de force in The Darkest Hour almost seems insulting. The man, the actor, this performance is INCREDIBLE!!! So, guess who my pick is…? Best Director: After winning pretty much every major prize this year, the director award is a no-brainer to be awarded to Guillermo Del Toro for his visually stunning sci-fi romance The Shape of Water! As much as Christopher Nolan and Paul Thomas Anderson are long overdue for Academy recognition, Del Toro has this in the bag! Adapted Screenplay: CALL ME BY YOUR NAME, to hear writer James Ivory’s name called, at the age of 89, would be the highlight of my Oscar night! Original Screenplay: THREE BILLBOARDS OUTSIDE EBBING MISSOURI. Production Design: THE SHAPE OF WATER. Makeup and Hair: THE DARKEST HOUR. Visual Effects: WAR OF THE PLANET OF THE APES. Score: THE SHAPE OF WATER. Foreign Language Film: A FANTASTIC WOMAN (Chile). Live Action Short: DEKALB ELEMENTARY. Tune in to the Oscars and see how I did with my picks. Come to the Al Whittle and point and laugh at me if I made a mistake! Create your own ballot, invite friends over, have loads of fun snacks and admire the best dressed or poke fun at the worst dressed as Hollywood celebrates the best in film for 2017. Thanks Everyone!